If you're visiting Homestead and you don't know a great deal about it, don't stress — we'll give you the lowdown! Around 25 miles (40 kilometers) to the southwest of the heart of Miami, Homestead is just one of the neighborhoods that make this city so fabulous. Last time they counted, the population of Miami was 400,000. Gain unbelievable savings on Travelocity's Homestead accommodation and flight deals. You've also got a world of choice with upwards of 400 airline partners and 665,000 places to stay. From accommodations and flights to activities and car rentals, we can promise you 24/7 personal assistance via our Customer 1st Guarantee. If you somehow discover an even lower price somewhere else, we'll refund you the difference^. You've got the freedom to cancel any of your vacation plans with no hidden fees on our end. Do you know what that means? Less for you to worry about. And as long as you get in quick, many accommodations don't charge fees either^. If you've got your sights set on staying near the middle of Homestead, Travelocity has what you're after. 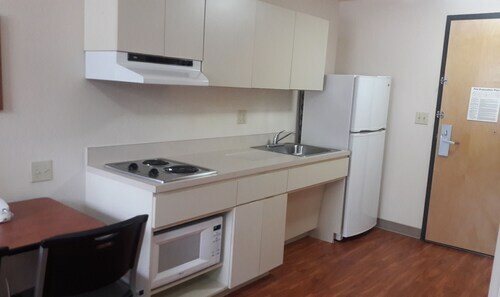 However, we only have 6 properties available, so you ought to get in fast. Secure the best room and then start organizing the fun stuff! 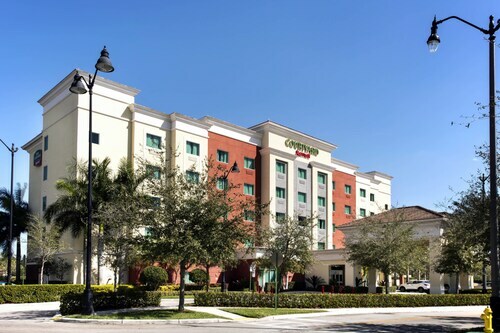 You'll get a great night's sleep at the Courtyard by Marriott Miami Homestead (2905 Ne 9th St) or the Hampton Inn & Suites Miami- South/ Homestead (2855 Ne 9th St). Whichever you go for, it will make a wonderful base for your getaway. Where do you fly into for Homestead? Admire the scenic view as you arrive at Miami International Airport (MIA). Collect your baggage, get through security and you'll be about 25 miles (40 kilometers) northeast from central Homestead. Can I rent a car in Homestead? Forget trains and expensive cabs. If you plan to do some fun exploring in Homestead, you'll want to book some wheels via Travelocity. We make it so simple that you'll be fine-tuning your driving playlist in no time at all! Savvy jetsetters step off the plane and pick up a car within the Miami International Airport area. Swing by Thrifty Car Rental and Dollar Rent A Car. Enterprise is in the middle of the city at 29130 S Dixie Hwy. This makes it a convenient option for those staying central. 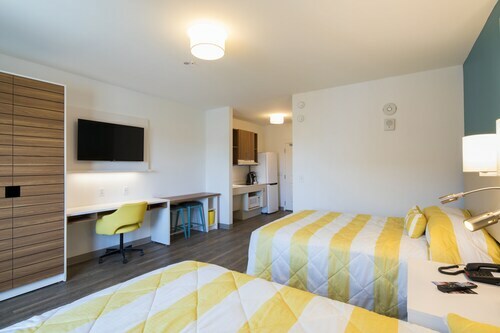 If you and your travel pals need a place to regroup and hang out, Homestead Town Square is an ideal option. Chat over some lunch and browse the stores for that perfect souvenir. Want more close by options? If you’re looking for a little spiritual enlightenment, call in to Life Pointe Church. You never know, you might even glimpse the answers to a couple of life's most mystifying questions! But that's not all there is. Even if it's drizzling, it's well worth meandering through Seminole Wayside Park. Put up your umbrella and breathe in the fresh earthy smell. So you've touched down in a new destination — what's next you ask? Well, why not kick back and see what incredible experiences and awesome adventures come your way? After all, isn't that what travel's all about? If you're traveling to Homestead, it's time to get out there and try something a little different. Why not start by buying a Key Largo Peacock Bass? Princeton is one of the options to visit while you are in Homestead. It is located around 5 miles (8 kilometers) away. Situated in Homestead, this motel is within a 10-minute walk of J.D. Redd Park and Losner Park. Homestead Town Square and Pioneer Florida Museum and Village are also within 1 mi (2 km). 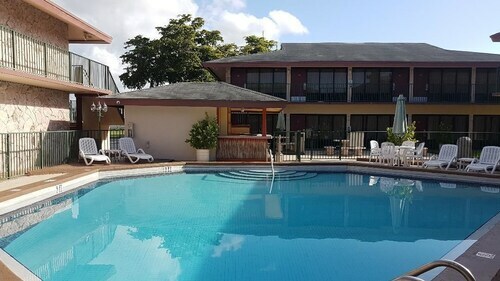 Located in the heart of Homestead, this hotel is within 2 mi (3 km) of Live Like Bella Park, Modello Park, and Coral Castle Museum. Modello Wayside Park and Seminole Wayside Park are also within 3 mi (5 km). Located in the heart of Homestead, this hotel is 2 mi (3.2 km) from Homestead Town Square and 3 mi (4.8 km) from Homestead-Miami Speedway. Homestead Sports Center and Live Like Bella Park are also within 3 mi (5 km). 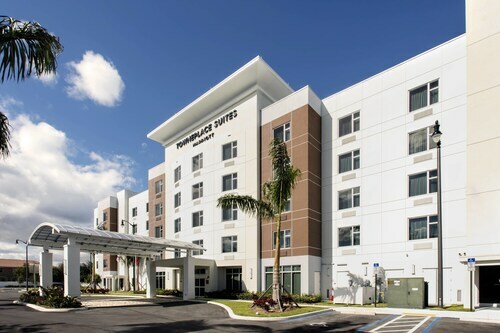 Situated in Homestead, this hotel is 2.1 mi (3.4 km) from Homestead Town Square and 3 mi (4.8 km) from Homestead-Miami Speedway. Homestead Sports Center and Live Like Bella Park are also within 3 mi (5 km). 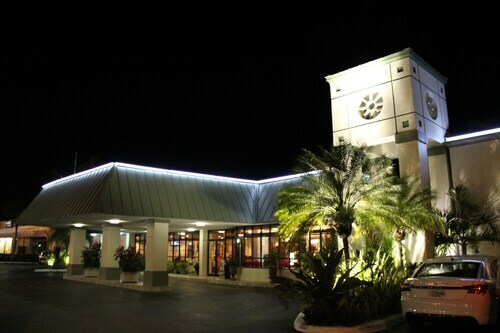 Situated in Homestead, this hotel is 2 mi (3.3 km) from Homestead Town Square and 3 mi (4.9 km) from Homestead-Miami Speedway. Homestead Sports Center and Live Like Bella Park are also within 3 mi (5 km). Situated by the ocean, this hotel is 1.9 mi (3 km) from Homestead Town Square and 2.9 mi (4.7 km) from Homestead-Miami Speedway. Homestead Sports Center and Live Like Bella Park are also within 3 mi (5 km). Located in the heart of Homestead, this motel is within a 10-minute walk of Coral Castle Museum, Modello Wayside Park, and Modello Park. Seminole Wayside Park and Live Like Bella Park are also within 1 mi (2 km).